Every winter, Switzerland reminds me that not all shades of grey are exciting. 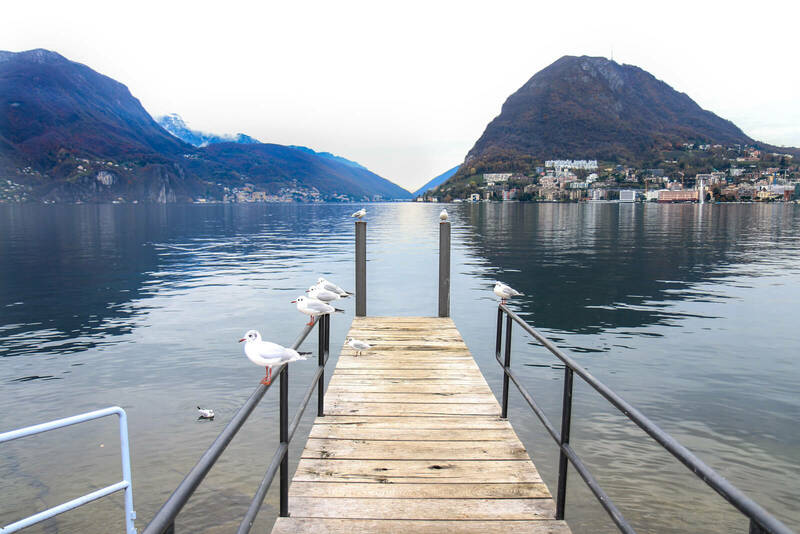 I always go to Ticino when I need a break from my daily routine; time slows down as one contemplates at Lake Lugano. It always seems to be sunny in Lugano. 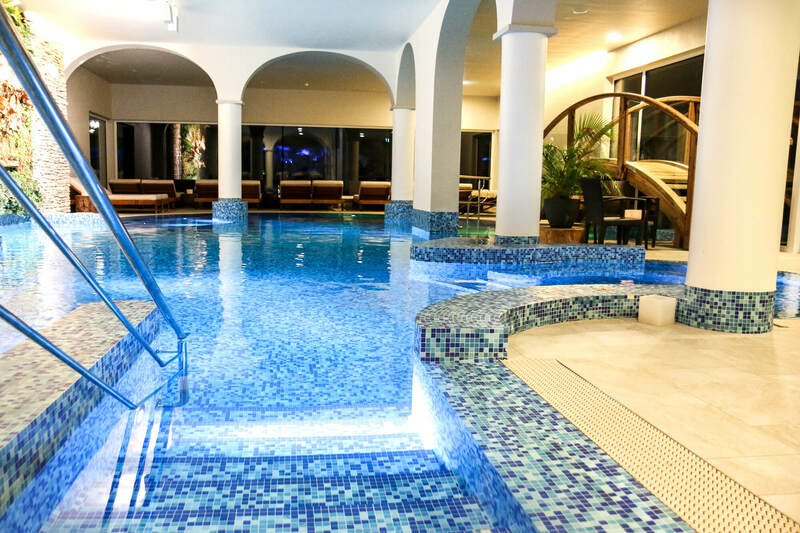 That fact did not escape the mind of Dr. Adolf Keller-Hoerschelmann when he created his wellness house, the Kurhaus Cademario Hotel & Spa in 1914. He even stated that "sunshine is crucial for good health," and I could not agree more. I was already feeling more relaxed just by stalking the Kurhaus Cademario online. I had very high hopes and I was not disappointed. 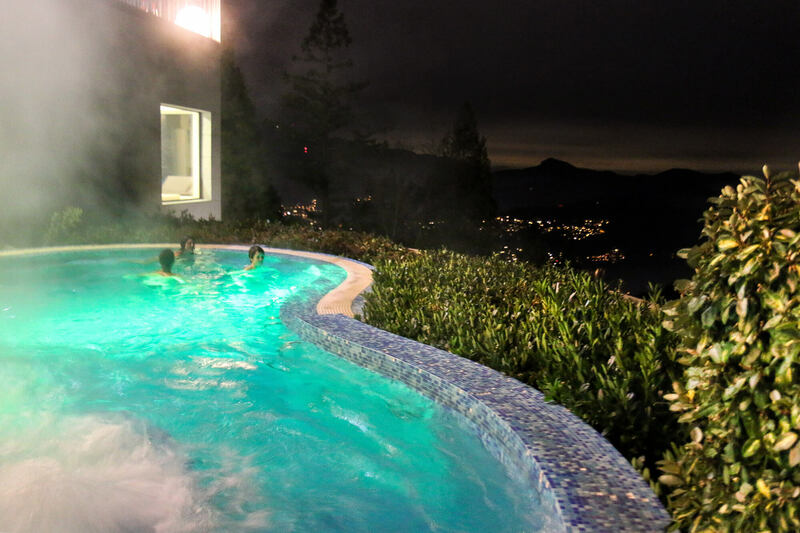 At an altitude of 850 meters above sea, the location was perfect with great views of Lake Lugano. Unfortunately, it was very foggy during my stay, but I was still able to sneak out at twilight and capture the sunrise. The room decoration is warm and homey. Every little detail is thought through, including a personalized welcome note and gifts including nougat which was out of this world. (I am still dreaming of it!) Just to give you an idea: you can choose your own pillow! There is a pillow menu which allows you to order the perfect pillow to sleep on. 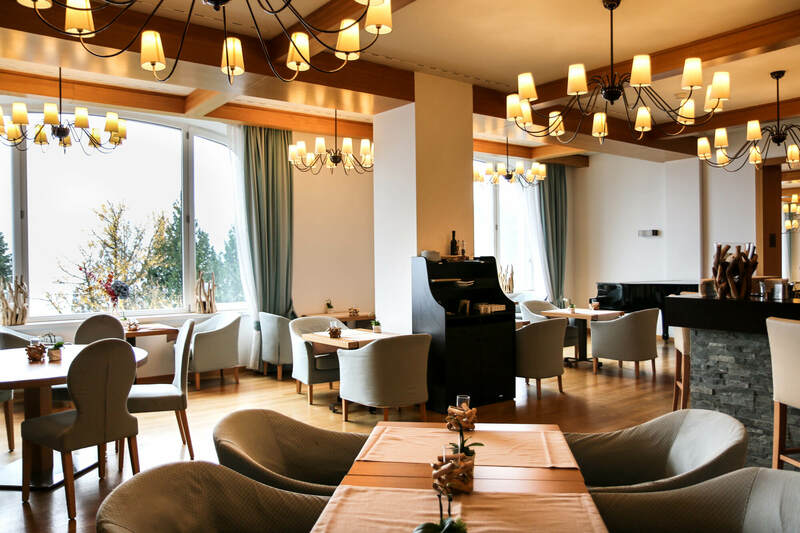 The hotel's DOT.spa articulates all its services around the needs of the guests. I really had the feeling that my well-being was a focal point during my entire stay. There was a special event for women only the first night with music, massage, drinks, and food. 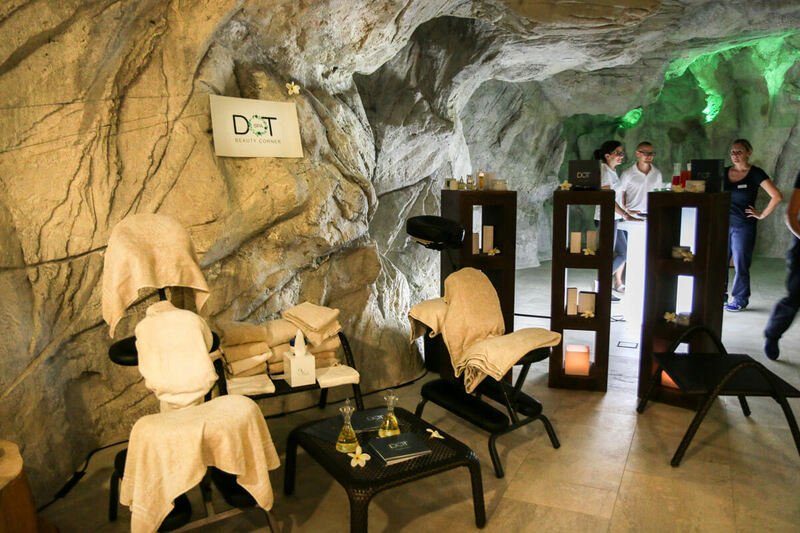 We also got a chance of discovering the exclusive range of beauty products of the DOT.spa. Let's be honest: the difference between laziness and relaxation resides in the location where you do it. 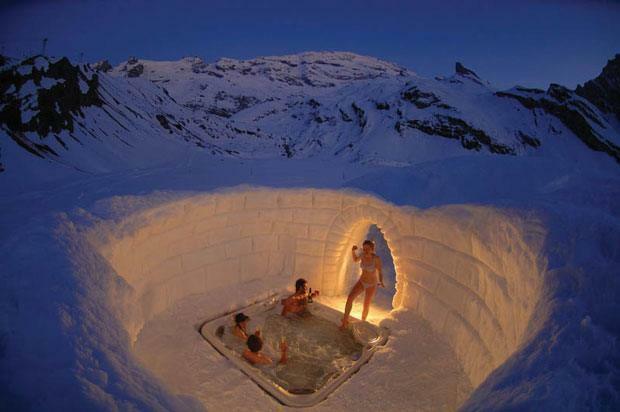 It’s not lazy if you are doing the relaxing at a spa! 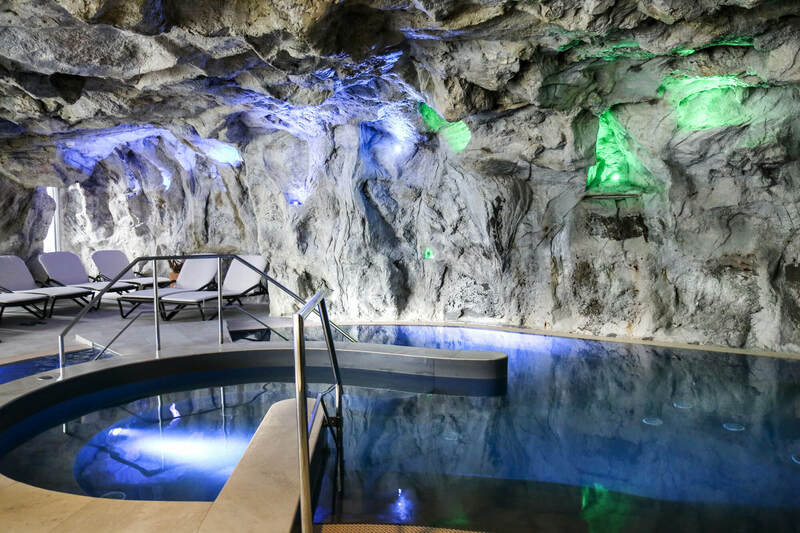 I was most excited to visit the DOT.spa, a 2'200 m² oasis dedicated to relaxation. I could not believe that such a place existed and that I was lucky enough to be invited there. The facilities included a water world and a sauna world. Did you know there's a trail connecting Basel and Chiasso? It's called ViaGottardo. *Disclaimer: I can never warn my non-European friends enough. The sauna area of the wellness spa is a naked zone. You can keep a towel around you, but it does not mean others will do the same. Surprisingly, relaxing during an entire day does build up an appetite! As a vegetarian, I was a little bit worried when dinner time came. 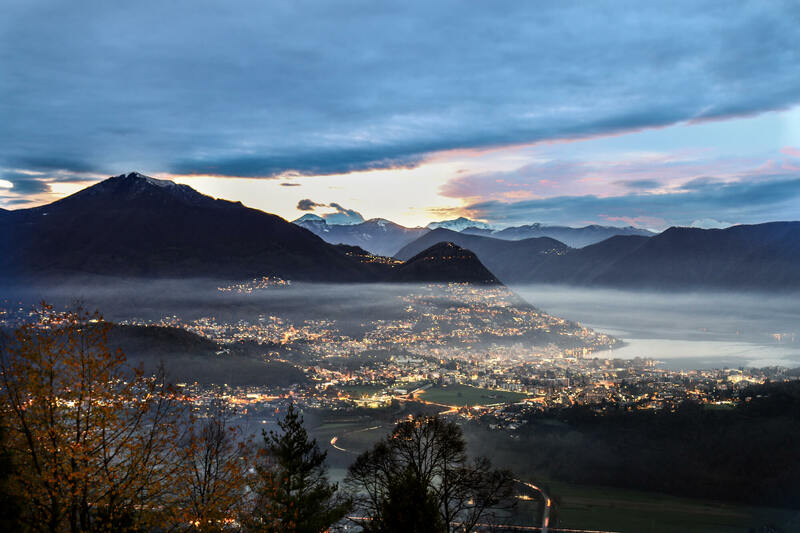 The typical gastronomy of Ticino is filled with delicatessen and meat. I was delighted when the Restaurant La Cucina created a vegetarian meal for me: a delicious pasta dish with mushrooms on a creamy sauce. 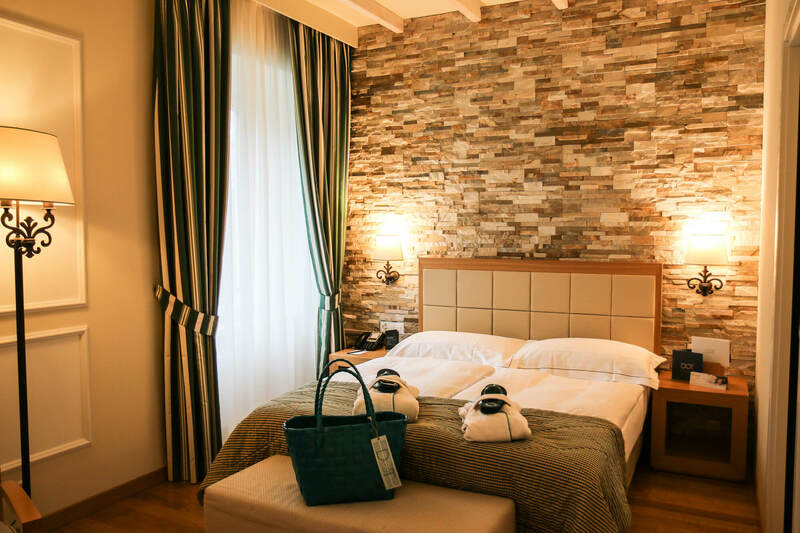 I was already over the moon about my stay at the Cademario. I did not think this experience could have been topped. Holy cannoli was I wrong! 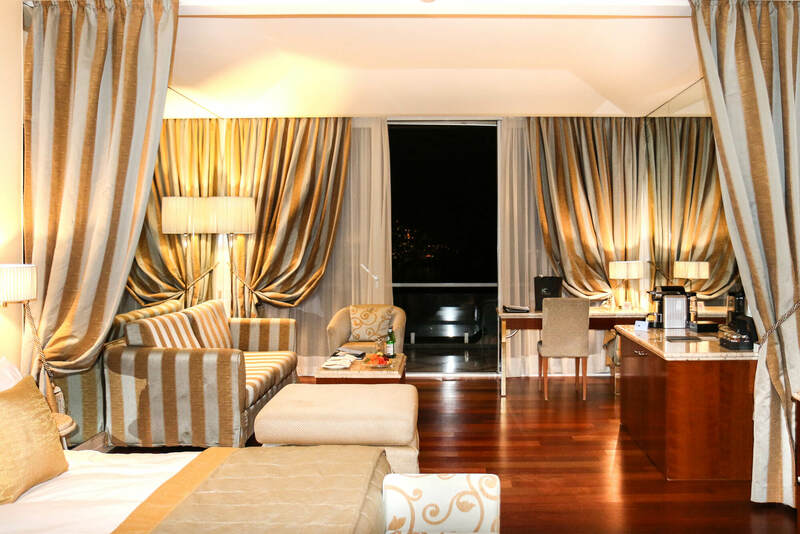 The room was very spacious and luxurious. There were small items at the disposition of the guests to assure their stay was as comfortable as possible. I personally grew fond of a scarf which stayed on my shoulders during my entire stay. It was possible to buy it, but the price brought me down to the reality that I cannot afford it just yet. The paroxysm of my stay was that second dinner at the Restaurant Principe Leopoldo: a champagne sampling paired with exquisite courses. It was my first time experiencing the Ruinart champagne which basically tastes like my life if I only made good decisions! The distinct taste of its bubbles will, from now on, punctuate every important event in my life worth celebrating. A delicious six course meal prepared by the infamous Dario Ranza was awaiting us. Once again, I was worried that my vegetarian values might limit my experience. I was enchanted when Dario Ranza himself told me that they arranged vegetarian courses just for me! He even had the kindness to describe every course to me. I must admit that a part of me did not want to leave. I will definitely be back in Lugano as soon as possible! Vanessa is originally from Quebec, Canada. She has lived in Switzerland for a while and even knows how to speak in dialect. She's a comedian, too. Thurgau Tourism Truly stunning: the most unique hotels in Switzerland!